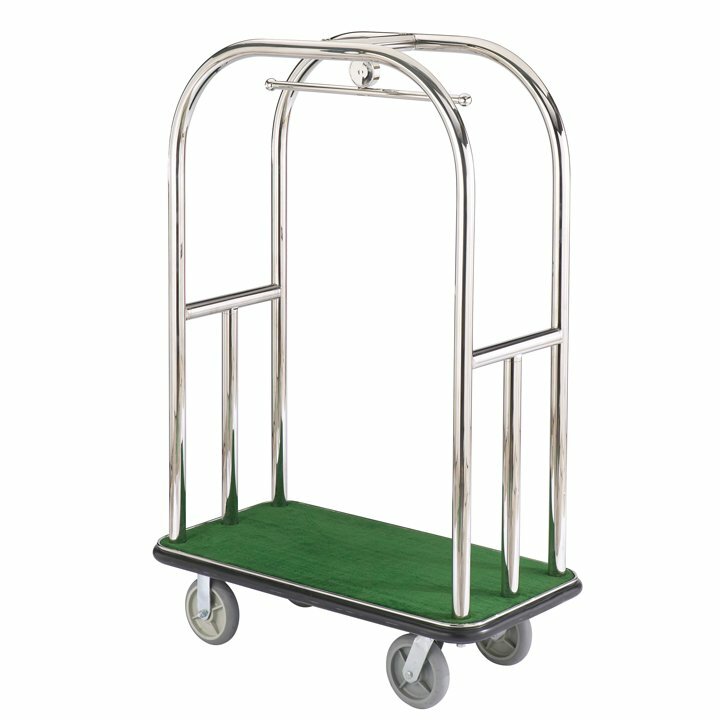 Our Cairo Luggage Cart is available in polished or brushed stainless steel finishes. 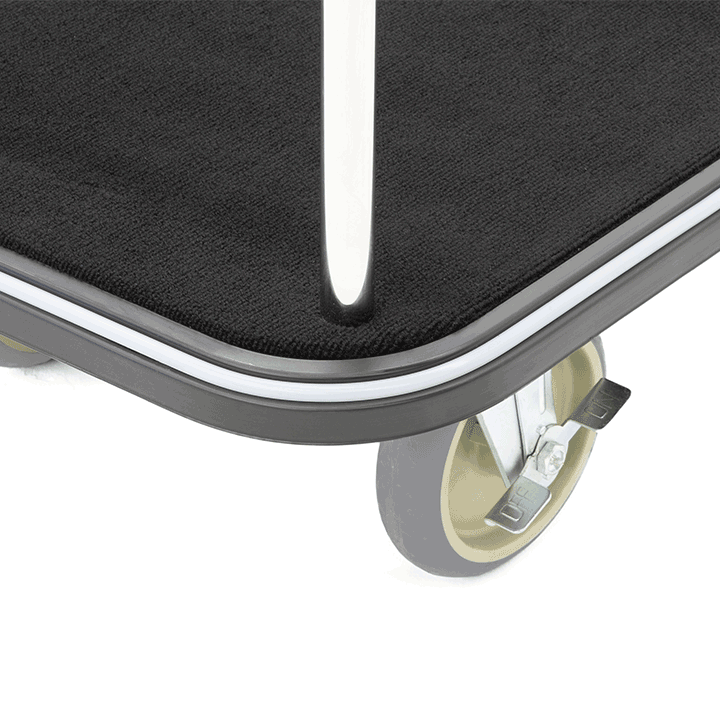 The extra wide carpeted deck surface comes in your choice of 8 standard carpet colors. Wheels are available in non-marring, pneumatic or cushion options. 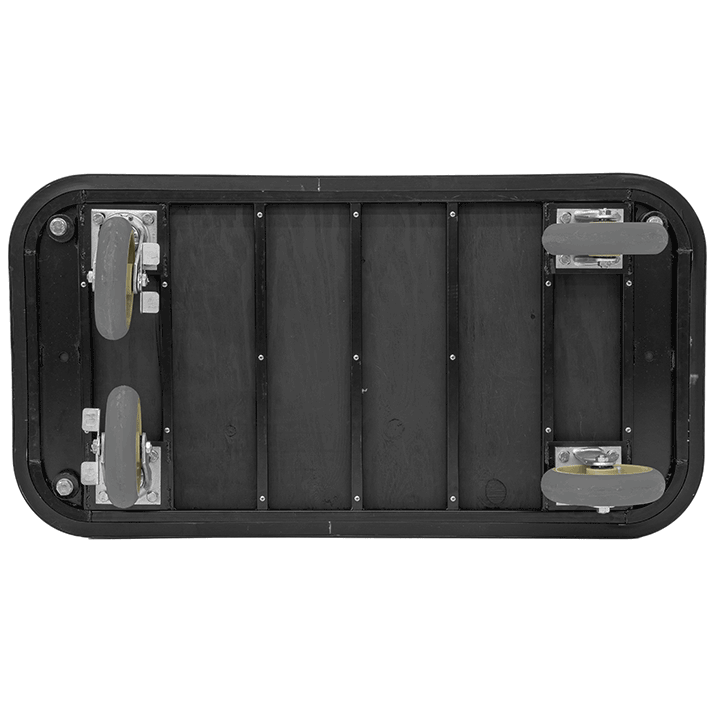 This is our designer series, featuring 2" (5 cm) diameter tubular frame construction, and a standard 3rd vertical retainer bar that prevents luggage from falling off. Customize the hanger bar logo space with your property name! 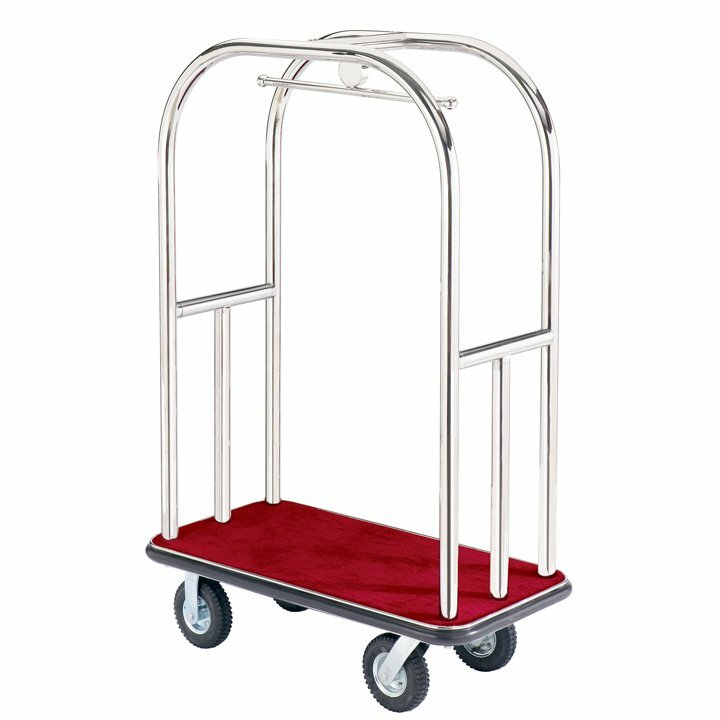 All of our Luggage Carts are designed and built to be exceptionally strong, are equipped with maximum storage space, and roll with ease on multiple surfaces. Each cart is also shipped fully assembled and ready to use right out of the box.